From 1957’s protests against integration in Little Rock, to today’s protests against immigrant children on the border, Tamron Hall sees a pattern. Is Tamron Hall the only talking head who sees a link between today’s red-faced crowds screaming at child immigrants from Central America and the white mobs screaming at the nine black teenagers who tried to integrate Little Rock Central High School in 1957? Earlier this week, the host of MSNBC’s NewsNation was discussing the protests over the stranded immigrant children. 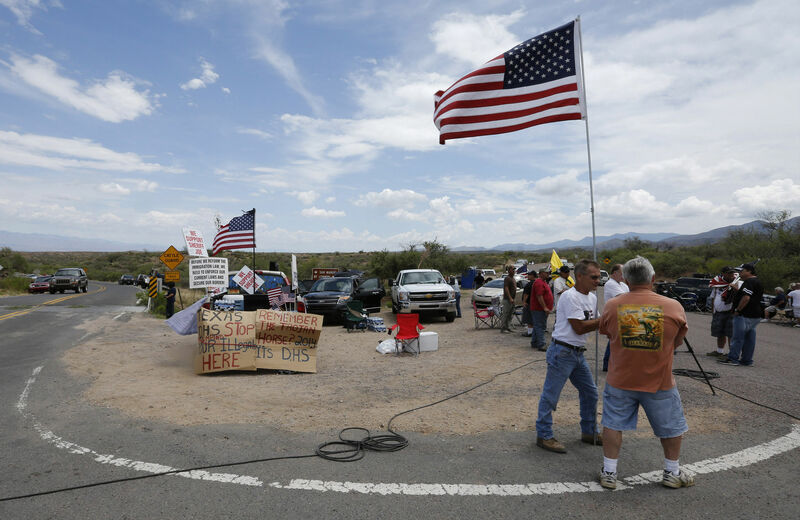 In Oracle, Arizona, protesters waving signs reading “Return to sender” and “Unwelcome—go home” shoved mariachi musicians and stopped a bus—until they realized it was filled with YMCA campers (oops); in Murrieta, California, some 200 to 300 people surrounded buses filled with immigrant detainees and forced the vehicles to turn back. We tend to either forget the past or assume we’ve progressed way beyond those bad old days. Especially when we’re in the middle of a crisis, the media and the country at large tend to lag in recognizing historical precedents. But by even briefly putting the immigrant crisis into a larger context, linking it to something the nation is ashamed of and would rather forget, Hall remembered history, which is a good way not to repeat it.